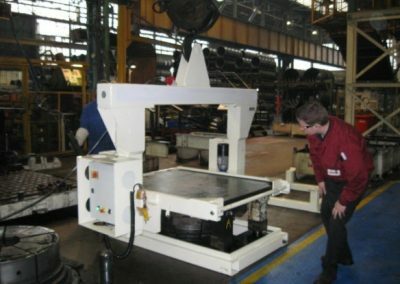 The tool turnover unit is mounted on an overhead crane, which means the unit can be used in many areas within the press shop. A dedicated turnover area is not required. The turnover unit has a 5 ton top tool capacity. 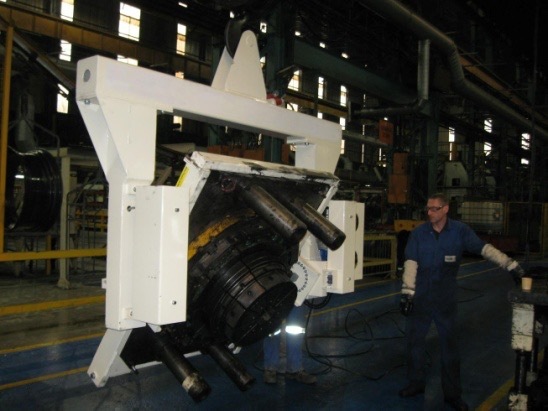 The top tool is clamped to the turnover unit and raised clear of the bottom tool. 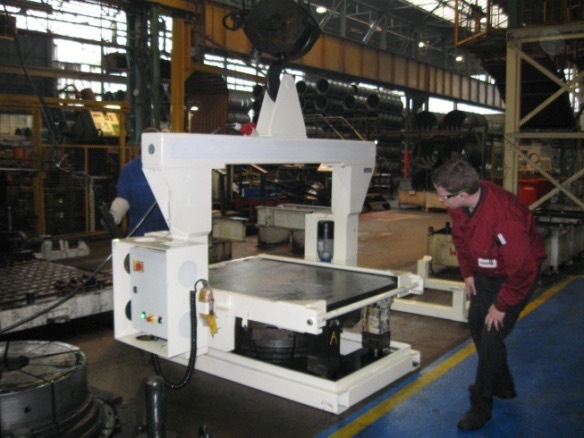 The top tool can be moved to one side and rotated and placed on the floor. 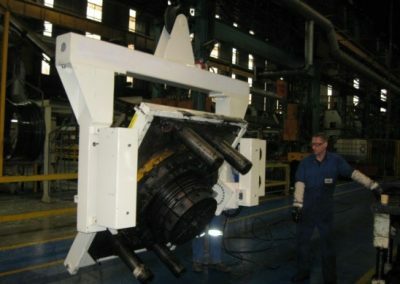 The engineers found that the tool could be quickly split, turned, repaired and back in the press, reducing the downtime compared to traditional methods.